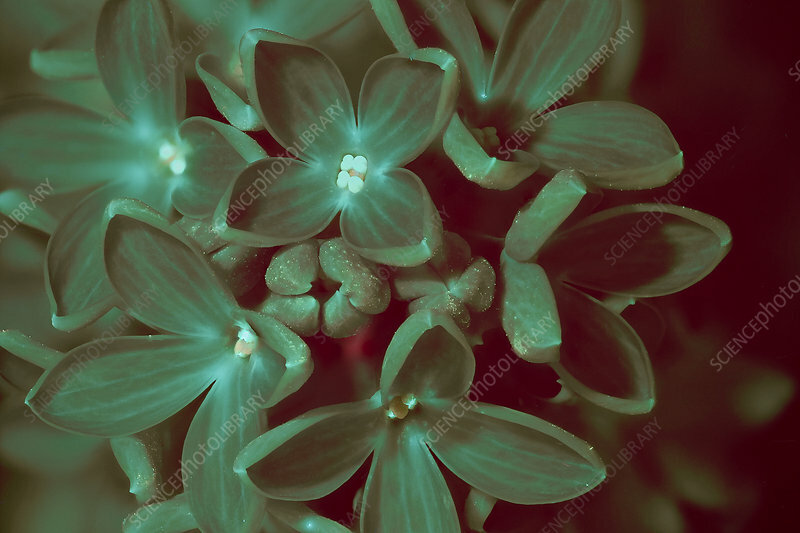 Lilac flowers fluoresce under UV light. Macrophotograph of flowers of the common lilac (Syringa vulgaris). The pollen in the centre of the flower fluoresces white. Magnification: x1 at 35mm size. See SS21344112 for the same flower under white light.